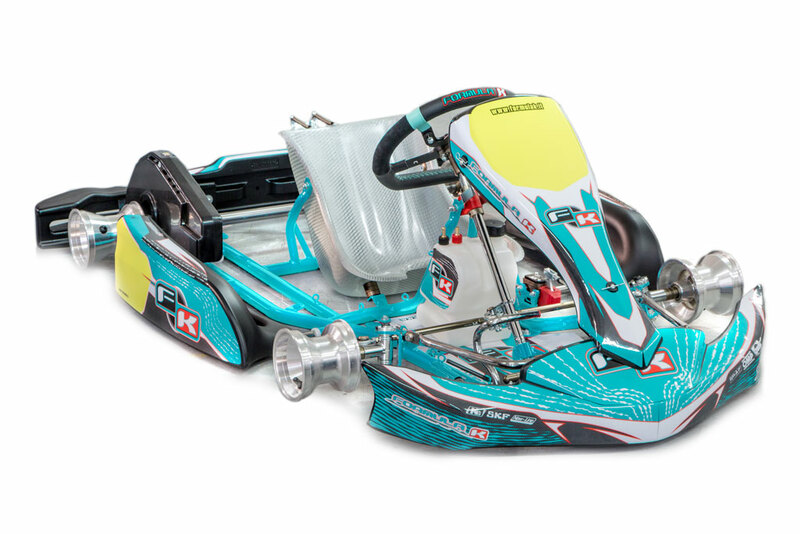 IPKarting has introduced a new “weapon” to help younger drivers come to the fore: the Monster EVO chassis for the Minikart category, former winner of the WSK Master Series and the Italian ACI Karting Championship. 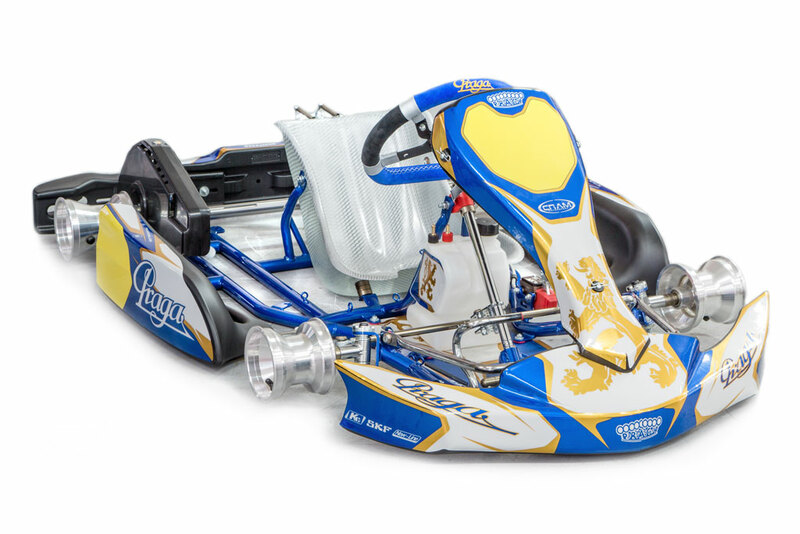 Previously produced only for the Formula K brand, the chassis is now also available for the Praga Karts, OK1 and RS Kart brands. As per CSAI approval, the chassis consists of 6 tubes with a diameter of 28 mm; the wheelbase measures 950 mm and the perforated axle has a diameter of 30 mm. The design consists of 9 curves. Unlike the previous model, called the Piccolo, the new Monster Evo differs in its longerons. At the height of the tank, in particular, where the tubes form a straight section, like the chassis in the superior classes. There is a substantial geometric difference: the Piccolo only has one curve in the same area and doesn’t have the straight section of the tube. 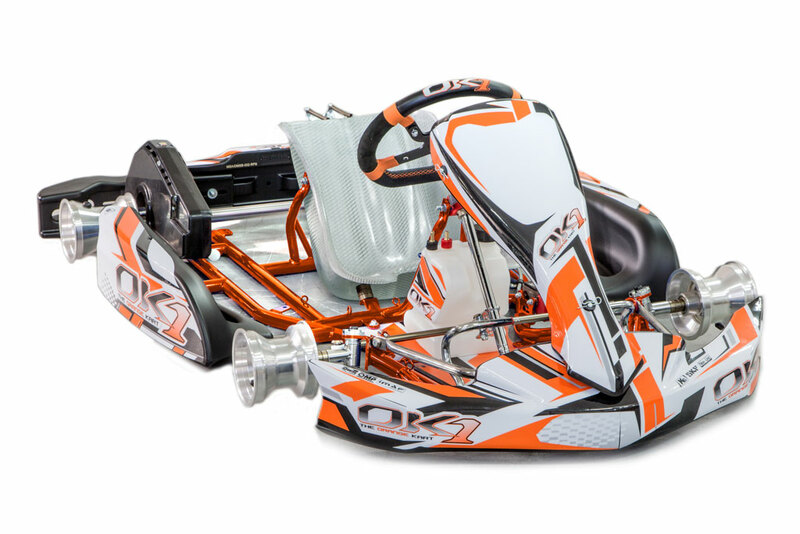 As with all IPK chassis, the Monster Evo minikart is also subject to continuous development, being tested under all conditions by the works Junior Teams belonging to the group. It is a decisive factor in having the certainty of a continuously updated product, especially for the range of accessories. The latter, present on the Monster Evo chassis, are comparable to those of karts in superior classes. 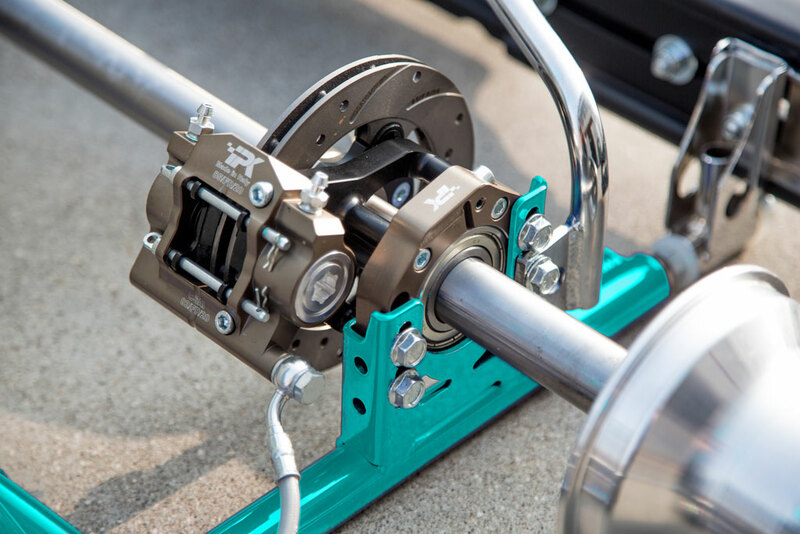 For the first time, for example, vehicles in the Mini class also fit the CCS system, a device designed internally by IPK that allows the caster and camber to be adjusted individually. Another advantage is the ability of the CCS system to maintain precision and uniform steering, thanks to a coupling that is always in line regardless of the positive or negative adjustments made to the system. The braking system is the MKB v1 model, consisting of a brake caliper machined from solid equipped with two 26 diameter pistons. The brake disc measures 149×11 mm, is floating and self-ventilated. The system allows you to choose from several friction materials for the pads, in order to optimise the braking phase according to the track conditions and the preference of the young drivers. One of the main aspects on which IPK focused when building the Monster EVO mini-kart was improving the driving position. Above all, they tried to make adjusting the vehicle according to the driver’s height easier. From this point of view, there are two particularly important accessories: the adjustable steering wheel hub and the adjustable pedalboard. The hub, specifically designed by IPK, is fixed between the steering wheel and the steering column and allows you to change the height and inclination of the steering wheel quickly, proving an indispensable ally when searching for the ideal position of the arms. 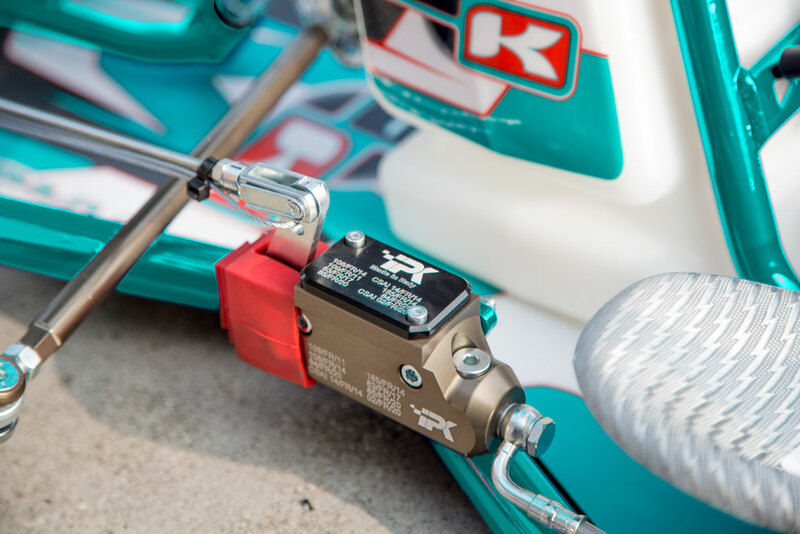 For its part, the pedalboard allows the perfect the kart to be adapted perfectly to the driver as the latter grows in height, since it can be moved up to a full 18 cm. The main slide, which is fixed to the frame, on which the accessory moves is made of aluminium and is completely machined from solid.